Just before the magazine’s fifth anniversary in October, Esquire Philippines launched this week its official website, EsquireMag.ph. More than ever before, those questions are being raised and discussed online. These fast-paced and complex times deserve the explanation and direction that Esquire Philippines strives to provide. With the website’s launch, the publication will be able to engage in the conversation as issues come up. 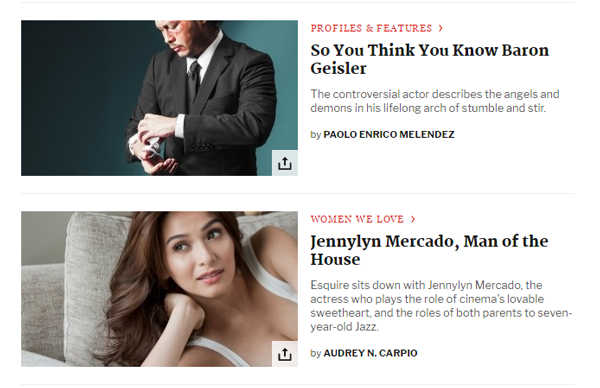 EsquireMag.ph is divided into four main sections: politics, culture, women and style. The website hopes to keep its readers in step with the daily and hourly pulse of culture, society and politics; and up to speed with intelligent, substantial opinions and perspectives of current events. 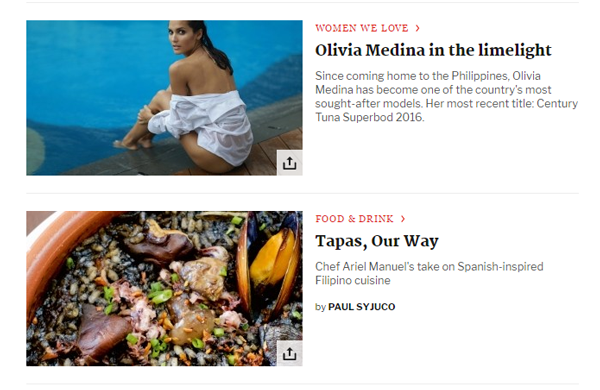 The website will keep Esquire’s readers no more than a few taps or clicks away from content that matters. To celebrate the launch of the website, Esquire posed a question to a few friends and fans: what makes a man click? It’s a question that speaks to EsquireMag.ph’s goal of capturing the essence of the publication’s identity, “man at his best”, in a new way.